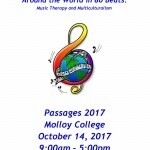 Mid-Atlantic Region (MAR) Passages is an annual free conference is organized for and by music therapy students and new professionals. Passages launched in the Mid-Atlantic Region in 2004. Initiated by two graduate students from New York University, Mechelle Chestnut and Jenny Hoi Yan Fu, MAR Passages is based on the model from Passages in the New England Region, an initiative created by Lisa Kynvi MA, MT-BC, in 2000 to serve as a mechanism of passage from student to professional. MAR Passages is supported and sponsored by the Mid-Atlantic Region of the American Music Therapy Association. 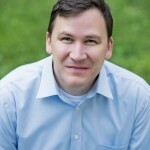 The conference includes presentations by undergraduate and graduate students and new professionals. Attendance is open to the public. The location of MAR Passages rotates yearly and is hosted by an accredited music therapy school or internship site in the MAR. to facilitate and support a sense of community for students and new professionals in the MAR (a new professional is defined as a music therapist in their first five years of practice in the MAR). On October 27th, this year’s Passages will be held at Radford University, Radford VA. Co-chairs will be current student Dave Blanco-Ventura and new professional Meghan Smith. For more information, please contact Student Affairs Advisor, Jason Willey. Registration is OPEN for Passages 2016! Registration is now OPEN for Passages 2015!